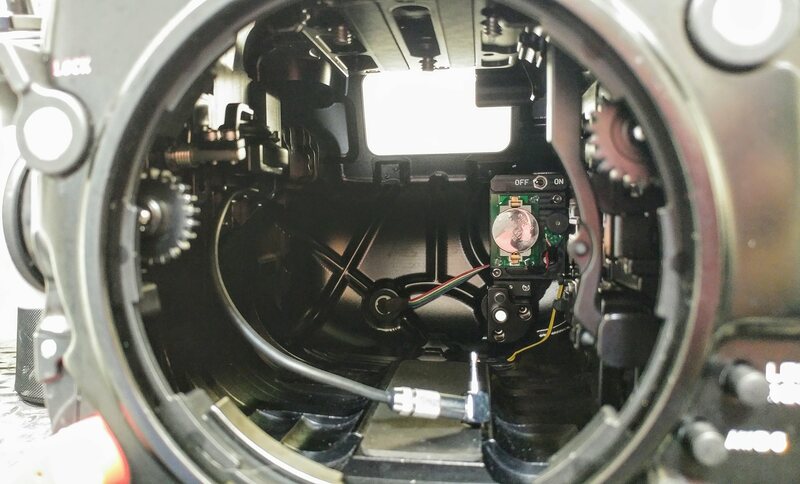 Editor’s Note: With the EVA1 out for just about a year now, it’s been a wild ride of updates, enhancements and projects shot on Panasonic’s hit camera that inspired a fervor unlike we’ve ever seen. 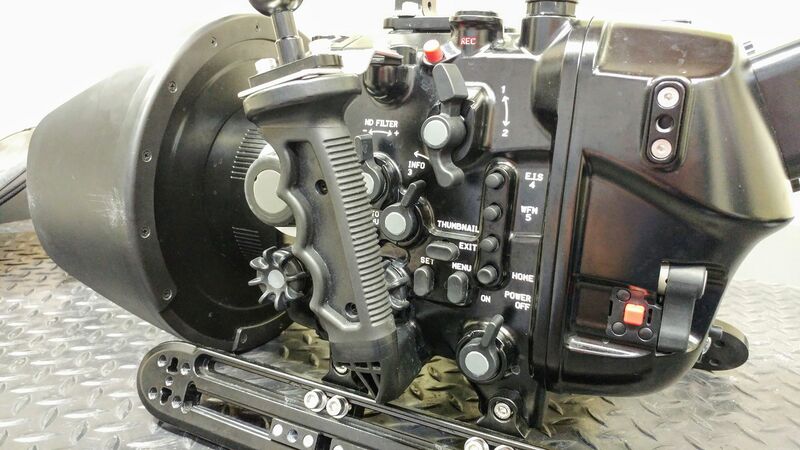 One user, Los Angeles based Cinematographer, Steadicam and Camera Operator, Massimo Bordonaro, has been using the EVA1 for a number of projects. 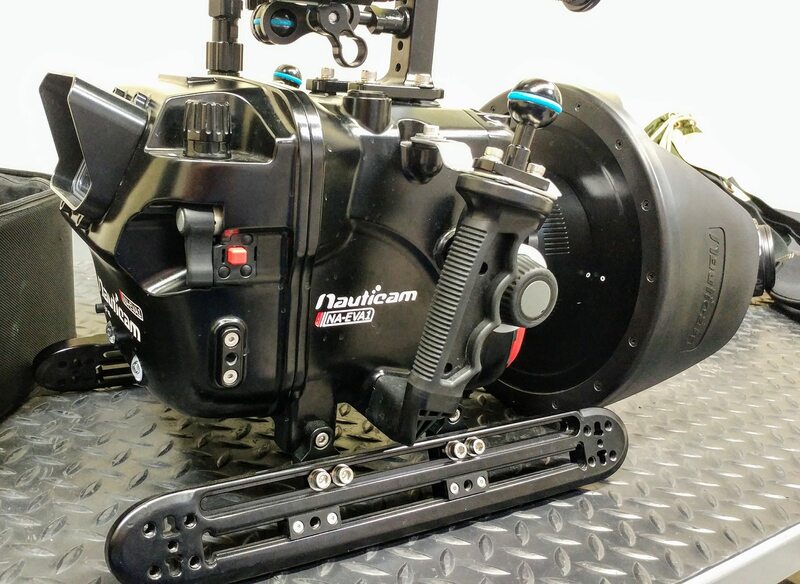 In this post, he details his use of the EVA1 on a secret project that’s he’s still under heavy NDA for, a project on which he used the EVA1 extensively under water with the Hydroflex and Nauticam underwater rigs, as well as the Atomos Shogun Inferno. Project: An NDA prevents me from talking about it. Or criminal prosecution, a civil lawsuit, hot waxing of my back hair, public humiliation, and 1000 twelve year old kids will pull out ever single one of my nose hairs. At 7 years old I was terrified of the water. One look at Jaws, and I thought Megaladon was lurking in the 3 foot zone of my dad’s apartment swimming pool. Within about a week’s time, my brother Luigi and our zany neighbor Patrick convinced me I was safe. So for an entire summer, you couldn’t drag me out of the water for 12 hours straight. I was addicted. My dad thought I was a reincarnated walrus. Fast forward to camera prep a few days ago, and here we are. I had been hearing a lot about the EVA1, and the benefits of being able to shoot 4k Raw Pro Res 4:2:2. “But can we blow something up,” I asked the Producers. Underwater explosions, lot’s of special fx, lasers… and puppies saving the day? Go big or go home, right?! Maybe not the lasers. Who knows? It’s all a blur now. But you get the idea. **Please note, no puppies were used, harmed, nor given any credits or awards in this project. But a party was thrown in their honor with lot’s of fire hydrants around. 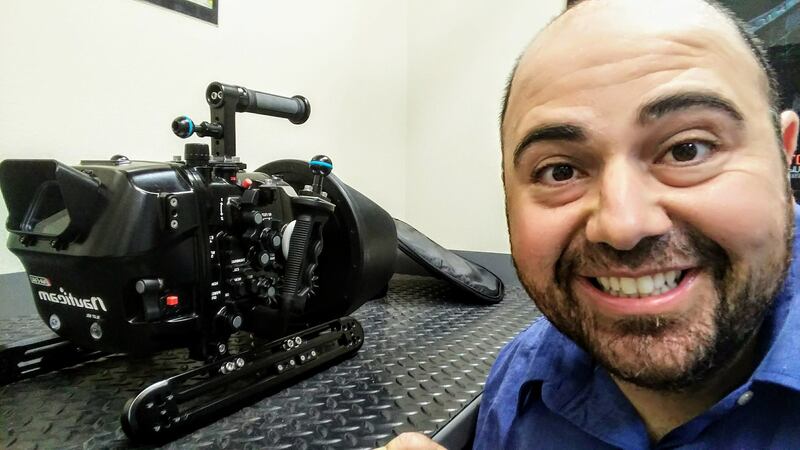 A couple days worth of IM’s on Facebook with Ryan Canon over at Nauticam, a quick talk with Matt Brown at Hydroflex, 2 phone calls to Anthony at Atomos, and I hit the ground running. Or maybe it was a lightpole I hit. Cell phones and walking do not mix. Either way, I had to test this rig out, and get in the water with it ASAP! 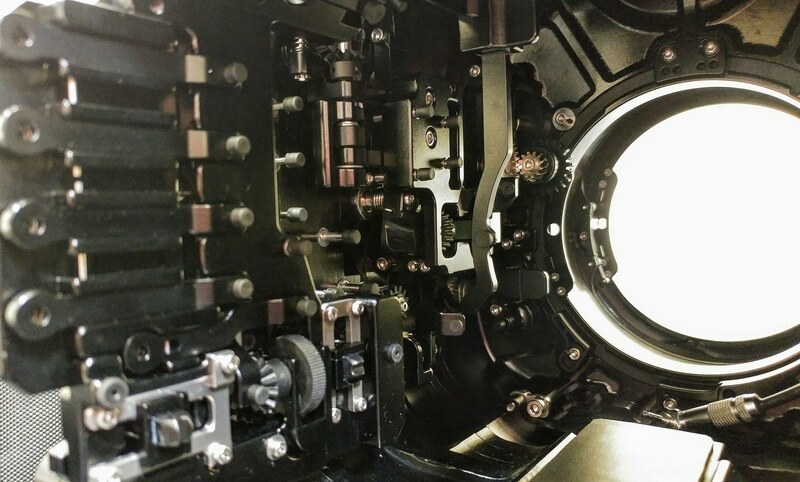 Set your EVA1 camera’s SDI output to 4k. 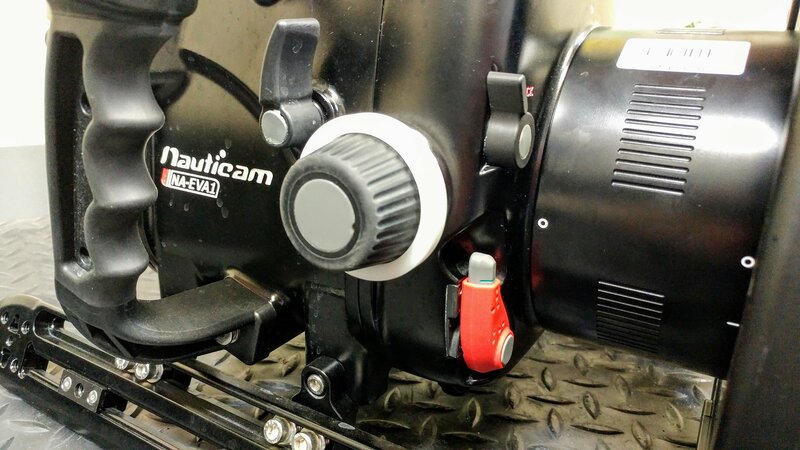 The short, waterproof 10 inch cable that comes with the Nauticam Inferno housing is 6g capable. Because of the 6g cable, you can record 4K RAW Pro Res 4:2:2 on the Inferno. 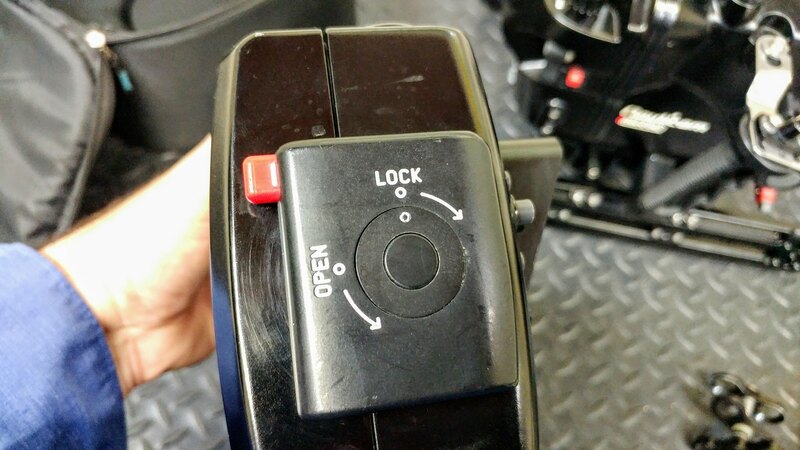 You can also send a 1080p signal to the surface using the loop through on the Nauticam Inferno housing. 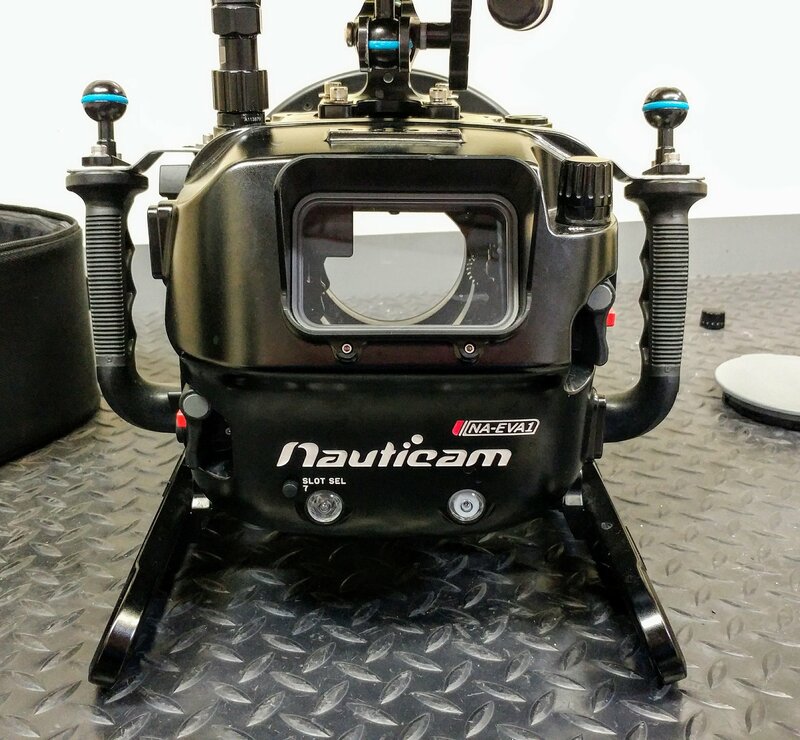 As of today, Nauticam’s R&D team is working on a longer (50 feet or more), waterproof 6g capable cable. 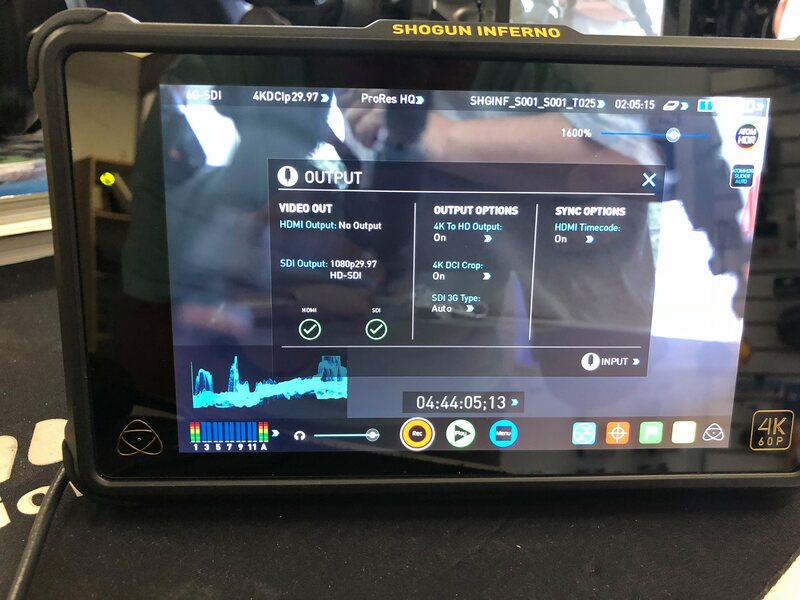 Because of that, you would be able to send a 4k signal to an Atomos Sumo 19 for example on the surface from either the Inferno housing’s loop through, or from the Camera housing directly. That way, you could record 4k RAW Pro Res 4:2:2 on the surface. Note** IF you are not in an underwater environment, and wanted to send a 4K signal from the EVA1 directly to an Inferno or Atomos Sumo 19 to be able to record externally, you can do this with a 6g capable SDI cable. Anthony at Atomos says the best SDI cable with 6g capability to use for longer runs up to 150-200 feet is the Belden 1694A type. 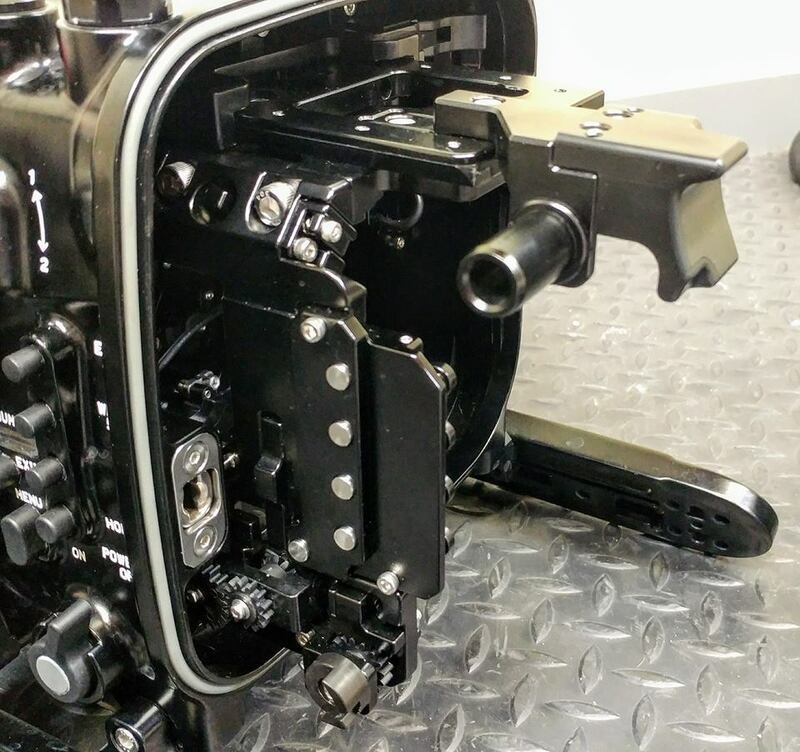 To briefly summarize, mount the Panasonic EVA1 inside of the Nauticam underwater housing with a supplied top plate. 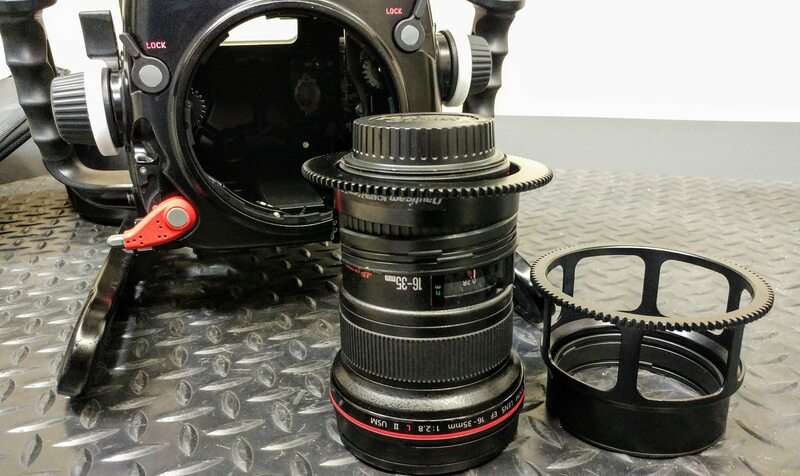 Attach a couple cables, add 2 ring gears for focus and zoom to your lens of choice, adjust your settings, get the lens dome on, and lock it all up. 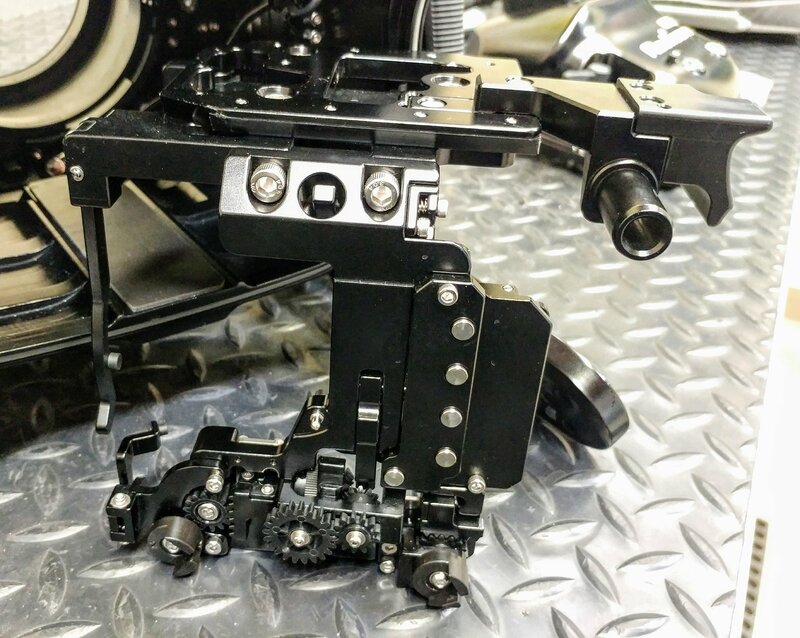 The Atomos Inferno pops into its own separate housing. A few pumps on both housings, and the air is sucked out, making it watertight. You get a green light when you’re at the correct negative air pressure. If there is a leak, the green light turns to red, and a loud annoying siren goes off. My ears are still ringing from a test at camera prep. Then test the rig. 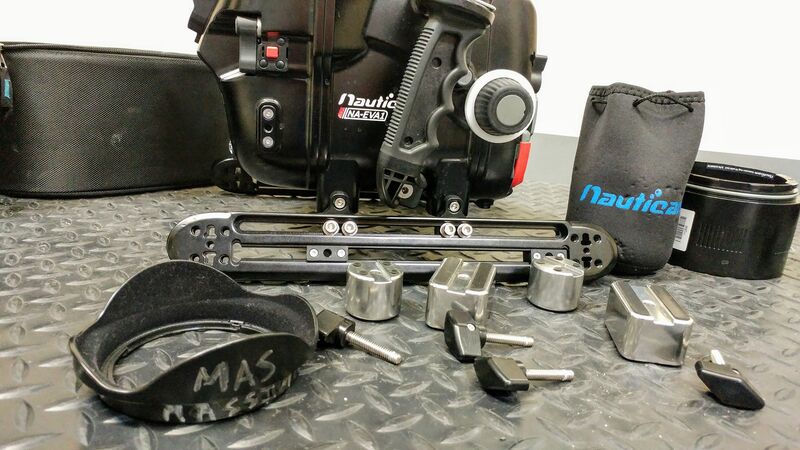 There are 4 counterweights supplied from Nauticam. 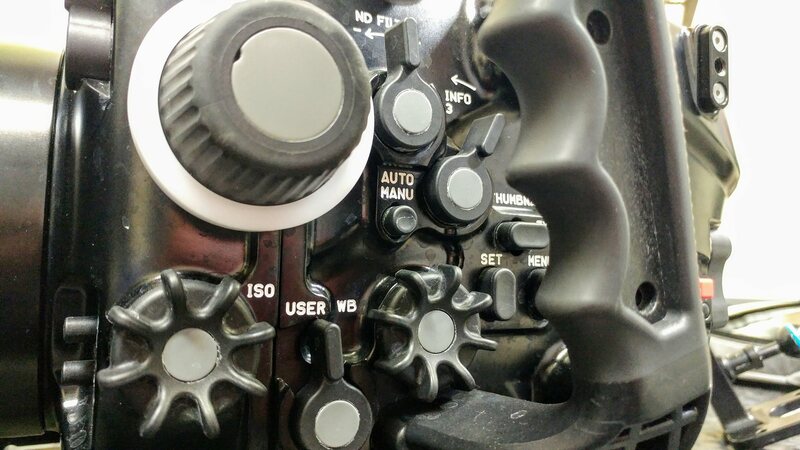 You can adjust these on the rig for proper balance and weight distribution. You want it to be as neutrally buoyant as possible. Question: Why do divers fall backwards into the water? Answer: Because if they fell forward, they’d land face first onto the boat deck. Duh! We do NOT all breathe the same air. One Industry trick I learned is that the scuba tanks need to be cool before filling them with air. 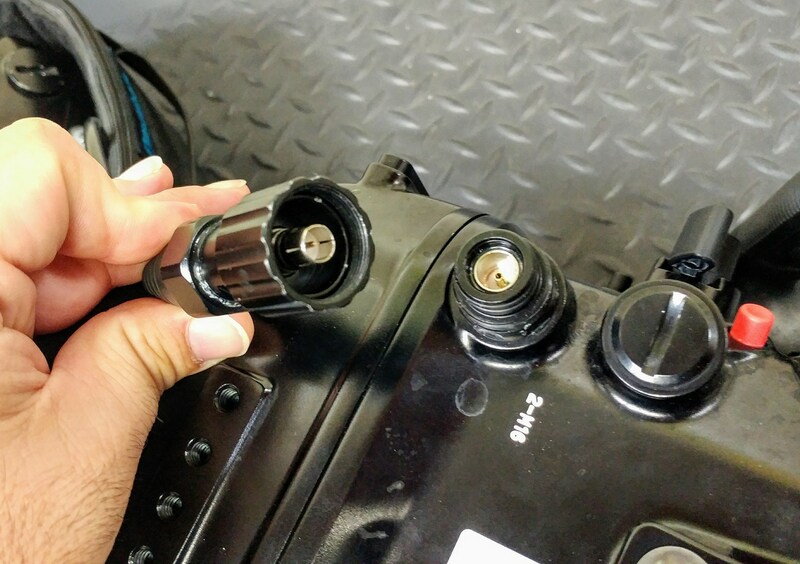 Certified dive shops use filtered air; and the better shops will usually submerge the tanks in water to get them down to a cooler temperature during the filling process. This will ensure a proper 2500-3000 PSI pressure depending on the type of tank. What happens in the pool, stays in the pool. A few things I would advise are to make sure that you hose off everything before you put it in the water, bodies and miscellaneous produce included. You’d be surprised at how much color can bleed into the water from fabric, costumes, props, backdrop, etc. We had a lot of production design in the water as well, like a sunken wooden chest, part of a shipwreck, real seaweed, and tons of sand. Rubber Ducky optional, or maybe on Tuesdays. Let’s just say we had a few laughs and practical jokes. Take a shower before you enter the pool! Also, try to keep the number of people in the pool to a minimum. This will keep contaminants down (say, oh, body sweat), as well as any unnecessary movement of the water. Suntan lotion, sunblock, cologne, perfume, deodorant, body lotion and moisturizer? That’s all slowly dissipating into the water, and all up in there in your business as well. How can you screw up with Prores 4:2:2? One trick I learned from Matt at www.Hydroflex.com is to pour milk into the water to get that “cloudy look” for the wides. I found it also acts like atmosphere/hazer, combined with a classic soft meets pro mist filter. Non fat milk worked the best for us; and we did the wides first with the 16-35mm. Then, we turned the pool filter back on, and progressively got tighter with the shots, 70mm, 100mm, and ending on the 200mm. That way the water became more clear as we progressed to the extreme close-ups. So one challenge was to try and get some contrast going on in the pool, but at the same time keeping the image from looking too flat. If it’s an outdoor pool, you’re dealing with a moving sun as well. I chose to use a 20 foot x 20 foot overhead diffusion as a base to get basic exposure. Also, I needed room for production to be able to move around the rim of the pool, and because I knew I wanted to be able to move my ARRI M40 HMI around wherever we needed it. JoLeko’s do wonders for spotting specific areas without blasting half the pool as well. Everything is on GFCI’s! I can’t stress safety enough. I chose Canon L series glass because I wanted it dirty. To say I was excited the first time we got an image up looking like a reef dive in the Bahamas, even though we were in a 8 foot salt water swimming pool, is an understatement. All the while capturing 4K RAW Pro Res 4:2:2! 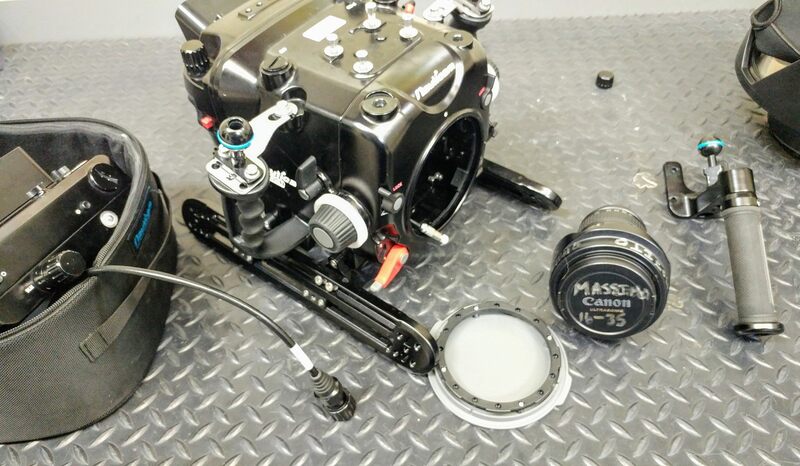 The camera housing is super easy to pan, tilt, maneuver, and adjust settings in the water. Also, having the Inferno as my operating monitor made it easy to find a frame and pull my own focus. 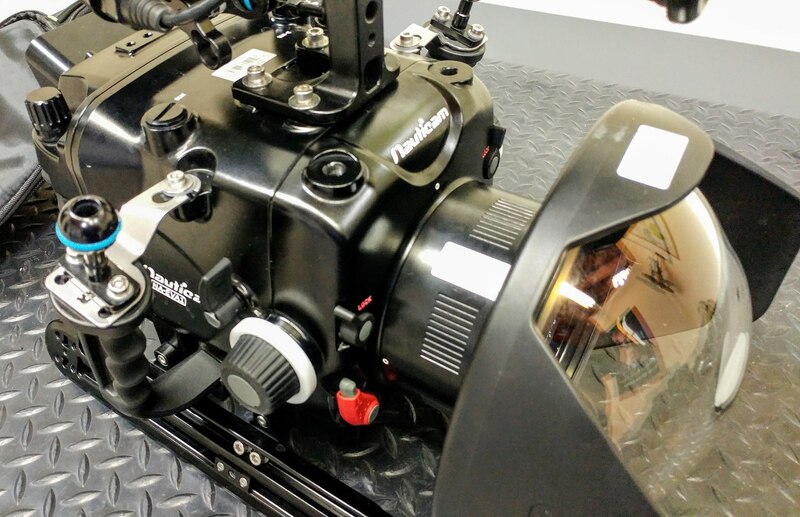 Anything you film underwater is going to look majestic. It’s meant to be very floaty and fluid. I think what makes the EVA1 a good choice is that it is small, compact, light, and easy to use. 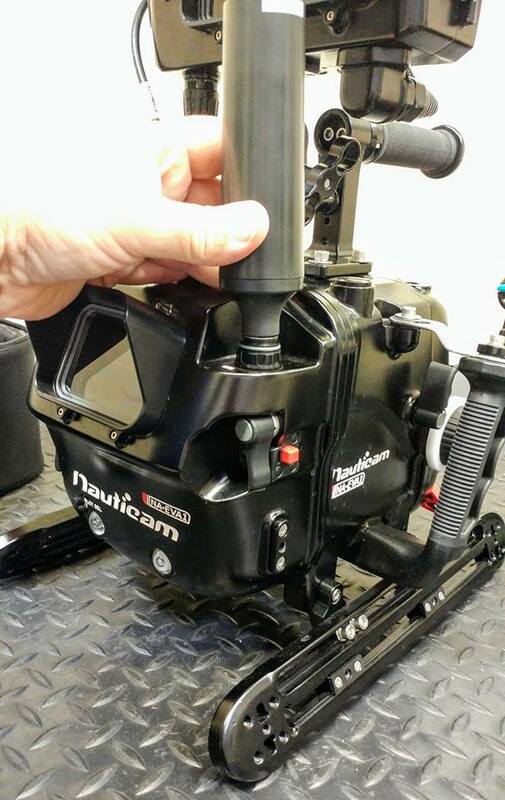 And with Nauticam and Atomos, you have the ability to record in beautiful 4k Raw Pro Res 4:2:2. Plan ahead of time, and do your prep days. Camera test EVERYTHING if possible before you shoot. I can’t tell you how we all both laughed and cried the first time one of our actor’s spray tan disappeared the second she dove in. Take breaks, especially bathroom ones. And lastly, have fun, but be safe.